Helping you monitor all the most important developments in the security industry. This section includes videos, PowerPoint presentations, webinars and other materials designed to help you learn more about product features and capabilities, continuing education and critical developments in the security industry. Find out more about what's available using ATV's cameras with Video Analytics technology and how it can benefit small business operations. Find out more about the transition from Analog to IP and how it can benefit you. 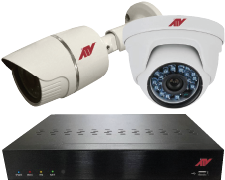 Find out how ATV's specialty, facial image capture cameras can help you and your business stay better protected. Find out more about ATV's Point of Sale Interface technology and how it can benefit retail operations. Who is Advanced Technology Video (ATV)? Find out more about ATV and how we can help your business.